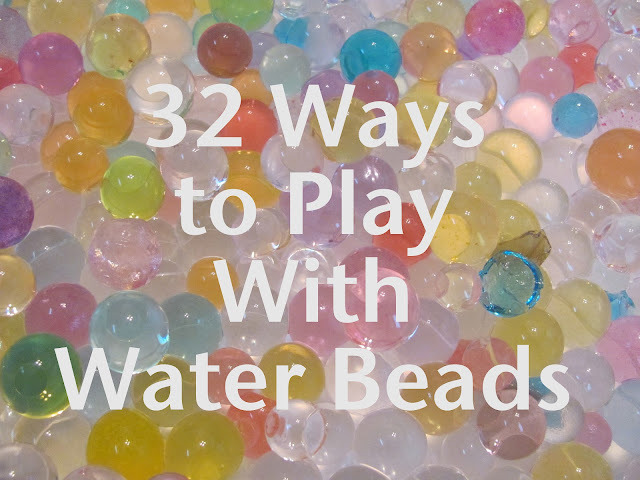 There are so many ways that you can play and explore with Water Beads! I collected 32 ideas, but there are so many more if you keep searching. Water Beads are definitely a sensory experience, but I wanted to group the play activities into "6 categories of ideas" that seemed to be the most popular: (1)Exploring With Light, (2)Creative Sensory Bins, (3)Painting, (4)Shaving Cream, (5)Science, and (6)Plastic Eggs. So here are all 32 Ideas. Have Fun! Love it! Another kid craft blogger (or was it you?) just expressed their joy at finding these at the Dollar Store and I was wondering what they were planning to do with them! I love the way they look and feel, and I always remember thinking they were pretty cool as a kid. Thanks for the ideas! Thanks! I've never seen them at the Dollar Store, so I guess I can add that to one of my resources. That is amazing that you played them with as a kid too....I never heard of them until recently. Thanks Crystal and you've added quite a lot to the list. Can't wait to see more of your ideas. 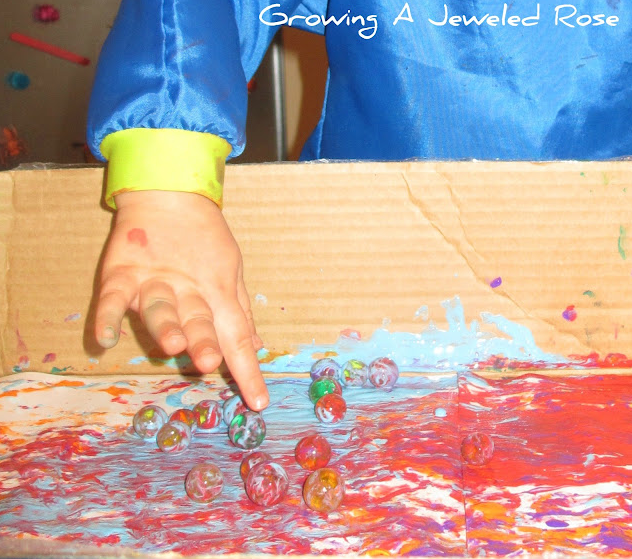 with water beads! Cool round up...thanks for including our shaving cream post! I had trouble with water beads at first, but now that I know how to control them a bit they are so much fun! Thanks Amanda. Your welcome. 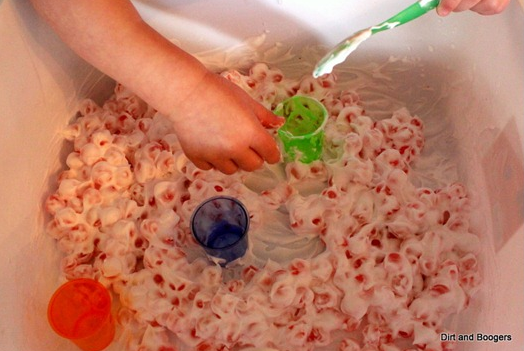 I love the water bead and shaving cream combination. We combined them with slime and that was pretty cool too. Thanks and your welcome. It is amazing to find all the fabulous ideas! Thank you so much for including our playtime activities to your list. I love this post, we will have to try some new water bead activities. Your blog is one of my absolute favorite resources so I am so excited that you even know about my blog! Thanks again! I love the idea and I have used these in my floral designs. What age group do you recommend these for? I have 1.5 and 2.5 yr. I would love for them to play with these on their water table with the sand wheel but I am not sure they will stay out of their mouths. What a great list! Thanks for the link!! 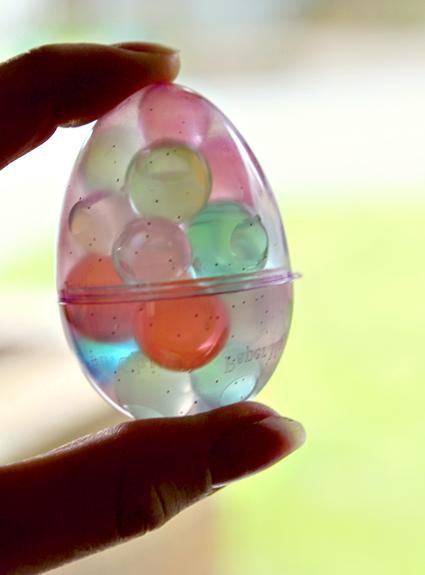 My kids love love love playing with those!! Thanks for so many interesting and creative ideas! 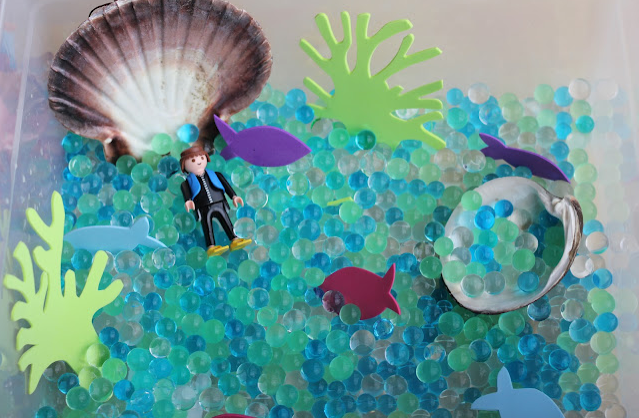 I like the idea of painting with water beads, why didn't I think of it myself?